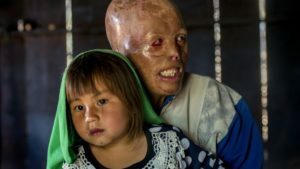 Rosita Boland, a journalist for The Irish Times, teamed up with Mark Whiteside from the Mines Advisory Group (MAG) to visit UXO survivors in Xieng Khouang Province, the most heavily bombed province in Laos. Boland reflects on the disastrous effects of what is now referred to as the “Secret War,” in which the U.S. dropped 270 million bombs on Laos between 1964 and 1973, in order to prevent supplies being taken into Vietnam during the war between the communist north and the U.S.-backed south. To read more of Boland’s insightful, incredibly eloquent piece, please click here.